Meredith Wright has been involved with Shine since the very beginning when she and Aaron Goldschmidt met while teaching at the 14th Street Y in the East Village. Meredith received her BA in Theater Arts at Barnard College/Columbia University and quickly became a successful creative play specialist, focusing on movement and music in early childhood programs. 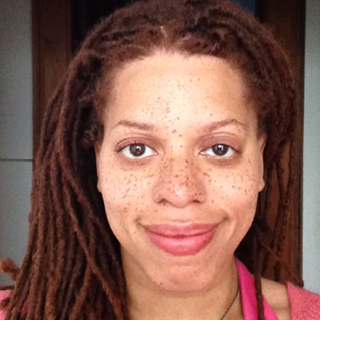 For over 10 years she has taught, developed curriculum, and served as a consultant for play programs throughout NYC. In addition to teaching, Meredith partners with the PJ Library Foundation to promote early literacy through a storytelling program and also writes and performs original music with her family project Sweetbeatz: soulful songs for city kids. A singer and a dancer, Meredith studies Caribbean dance and culture in NYC and is a featured vocalist with Oyu Oro Experimental Dance Ensemble. With an undeniable spirit that children and adults feel the minute she walks into a class, Meredith truly shines! To book a class with Meredith or find out about our other amazing educators and classes click here. 1. What was your favorite children’s book when you were a child? Or what children’s book/young adult character did you relate to most as a child? Oh my goodness there are too many to choose! I loved Shel Silverstein’s Where the Sidewalk Ends. My sister and I would read it over and over again. The young adult character I fell in love with was Anne Shirley of Anne of Green Gables. My teacher gave it to me for independent reading. Well now that I’m all nostalgic about Anne of Green Gables… the movie Anne of Green Gables too! Views of Prince Edward Island throughout the seasons, Meagan Follows, and Colleen Dewhurst among the leads… LOVED IT! I love to dance and I enjoy yoga. I like to move my body a lot. Care Bears? My Little Pony? I guess I’d wave my magical pony/bear wand and make them disappear. I like to plan “girls only” dates with a four year old I know and love. When I recently asked her if she remembered our plan for breakfast she guessed “a dinner date? Traffic date? Café date?” Third guess wins, all the guesses made me laugh. I wish I could be a ballerina. I used to draw ballet slippers in church when I was small. Favorite dessert as a child? It’s a tie between my mom’s sweet potato pie and Reese’s Peanut Butter cups. NOW as an adult it’s a tie: Mom’s sweet potato pie and tiramisu. And chewy lemon-heads. I have a sweet tooth. My classmates gave me a parade in our dining room for my 17th birthday – with a banner and everything. It was so sweet. As a child, I loved fishing with my family in Canada. As an adult, a boat ride from the coast of Croatia from Dobrovnik to the Island of Lokrum. ← Create a Sustainable Arts Lab at Home!